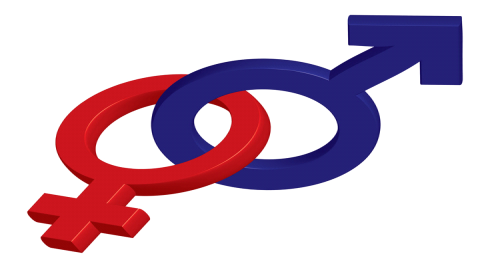 The use of gender based language defining masculine and feminine roles has changed our perception of what defines us and will continue to change across time, culture and place. Just two days after the United Nations and women of the world celebrated International Women’s Day, the Girl Scouts and Sheryl Sandberg (COO of Facebook) teamed up with women of fame to ban the word “bossy” because it is “symbolic of systemic discouragement of girls to lead.” According to them, the word bossy is used as a negative message when referenced to girls/women and not negative when referenced to boys/men. While some argue that accepted gender identity must be reexamined in order to eliminate socially constructed traditional gender roles, I remain untroubled by traditional gender language and see no reason to change descriptions and gender explicit pronouns. I am of the personal conviction that it is not the language that determines behavior. It is the culture, the support systems in place and the opportunities, (and unfortunately, the economic and power politics at play). Language will not change gender bias. It is an entire culture of changing habits and behavior that will alter the way we look at gender equality. If the word bossy offends a woman into stereotyping her as the female gender with a negative message that holds her back, then she must teach the children and adults to use the same language on boys and men. He (They) too, can be bossy. Do not change the language. Use it; share its true meaning with both genders alike. Eliminating certain words or banning their use will not change the culture of gender stereotype. For years, men were asked to help around the house and with the children, stereotyping the woman with designated home/family chore responsibilities, while women were asked to help bring home the bacon stereotyping the man as the designated breadwinner. We changed how we use the word “help” (not prohibited it’s use as there are still some who prefer to use the word as it implies) into “share” in the responsibilities. Progress in eliminating gender bias is to be made through proper use of language and changes in behavior…giving the same opportunities to all children, to pursue their individual interests without judgment based on gender. Two years ago a pre-school in Sweden, “Egalia,” took the elimination of gender pronouns to unusual extremes by avoiding the use of “him” and “her” and addressing the kids as “friends” rather than girls and boys. It is one thing to create programs that make sure children do not fall into gender stereotypes and it is another to become obsessed with obliterating gender. The fundamental issue here should be equality of possibilities between the sexes and not the nullification of gender. The world doesn’t need gender-neutral pronouns. It needs gender neutral approaches to teaching all subjects with equal enthusiasm to boys and girls. I am a girl. I am a boy. Let me run around and turn whisks and sticks into swords and play rough. Show me how to cook and bake and how to build with blocks. Hand me a hammer and help me use a needle and thread. Allow me to cuddle a puppy and play with dolls; at the same time show me the mechanics of construction vehicles. Teach me science and teach me art. Show me that I can be a model and a truck driver. Tell me I can be a plumber, or a judge, or a wait staff. Teach me to value being a doctor, nurse, and lawyer. Cultivate in me the joy of being a homemaker, an engineer, physicist, or nutritionist. Make it possible for me to become a farmer, firefighter, senator, president, a pilot, police officer, teacher or a nanny. Allow me to cry when I’m hurt or afraid, and to laugh boisterously among friends. Open my mind to revere beauty and have respect for the preciousness of the earth. Expose me to Cinderella, the Paper Bag Princess and Don Quixote. Teach me universal chivalrous conduct and let me know the difference between that and sexual harassment. I may be strong in some things and weak in others. I may be good in math, acrobatics, and/or writing. I may be weak in art, basketball, home economics. Allow me my weaknesses and encourage in me my strengths. I am entitled to the same laws, the same respect, humanitarianism, social power, and prestige as my friend next to me. You and I should be exposed to all things, and you and I should decide what of those things we want. And in all these things, I am equal to you. There is no hierarchy in my forte and choices. Yet, as important as all these professions and choices are, there is one thing that matters more. I am biologically different and my body chemistry is different. You and I, we both produce the hormone testosterone but if you happen to be (allow me to say) she or woman, you produce around 70 percent less than (allow me to say) he or man. You and I, we both produce oxytocin, but if you happen to be him or man, your testosterone hormones counteract the effects of oxytocin whereas her or woman’s estrogen hormones will enhance the oxytocin that promotes affection within relationships especially during childbirth and breastfeeding. Similarly, I either produce ova or I produce sperm. I am She. I am He. This entry was posted in Uncategorized and tagged bias, bossy, boy, equal opportunities, Gender equality, girl, Girl Scouts, stereotype. Bookmark the permalink. I totally agree, Silva. So well written. Bravo! Thanks Yeran. I believe in raising a generation confident of her femininity and/or his masculinity. Wow, very powerful and so to the point! Great one Silva! I’m so glad to have you comment, Dennis. It is important to have a male perspective on the subject. I attended a private British elementary school in a country where gender equality was non existent. However, both boys and girls were taught the skill of sewing (darning socks, which, to this day, I do not do)) and knitting scarves under the guise of our Crafts class. The class also included leather works, basket weaving, painting,making mobiles and hammering.